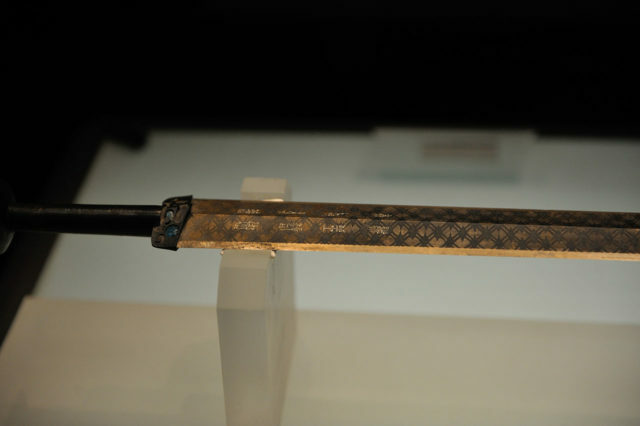 In 1965, archaeologists in China discovered an ancient sword unlike any other. This ancient weapon unique because it is presumed to be around 2,500 years old and, what is more fascinating, it was still shiny and sharp when it was discovered. 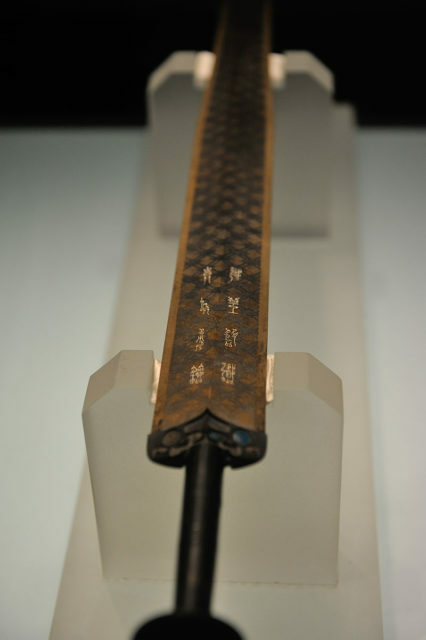 This truly unique archaeological artifact, known as the Sword of Goujian, was unearthed in one of more than 50 tombs which were found in Hubei, China. 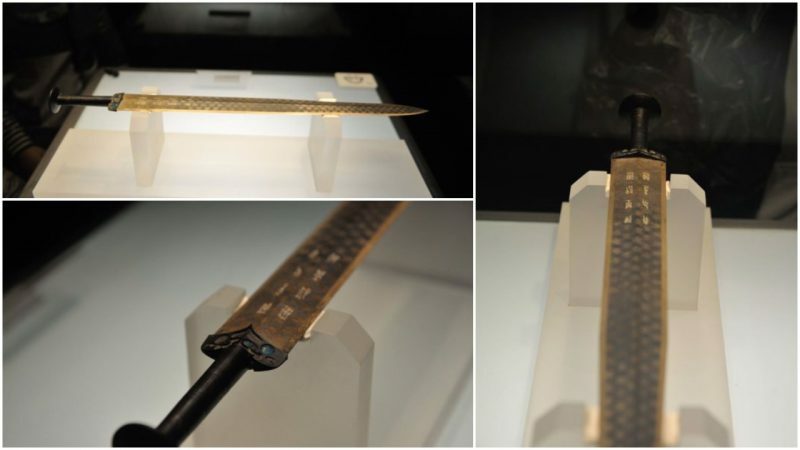 The researchers discovered over 2,000 artifacts from the sites, including this perfectly preserved bronze sword. 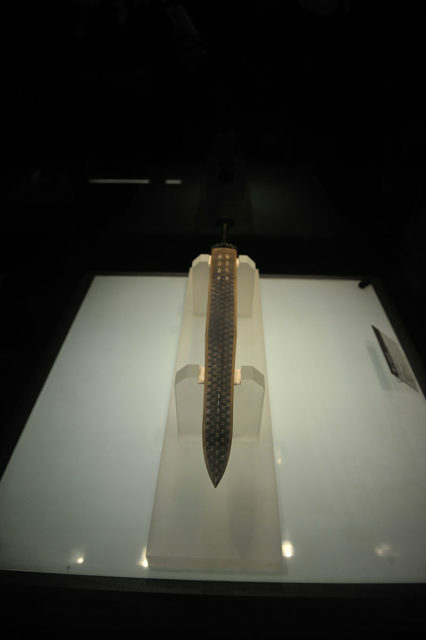 Archaeologists believe that this stunning sword made of copper, tin, and small amounts of iron, is now considered to be a state treasure of China from the Spring and Autumn period (770 to 403 BCE). Named after a book, Spring and Autumn Annals attributed to Confucius, the Spring and Autumn period is one of the most turbulent periods in the history of Ancient China. A high number of conflicts between powerful nobles, who fought for supremacy during this period, led to the production of some of the finest bronze high-quality weapons and the Sword of Goujian appears to be among the most outstanding examples. Goujian, the son of King Yunchang of Yue, who reigned over the Yue State (south of today’s Zhejiang Province) in the late Spring and Autumn Period, is considered by many as one of the most famous emperors in the history of China. As above-mentioned, during the Spring and Autumn period, there was a great number of conflicts. The one between the states of Yue and Wu is said to have left permanent marks on history. King Goujian defeated the Wu army in the first battle, back in 496 BC, but one year later, Yue was defeated, and Goujian and his wife were captured. They were finally released in 490BC, and upon his arrival home, King Goujian started making plans for revenge. It took him ten years to prepare himself and his army to attack the Wu capital. 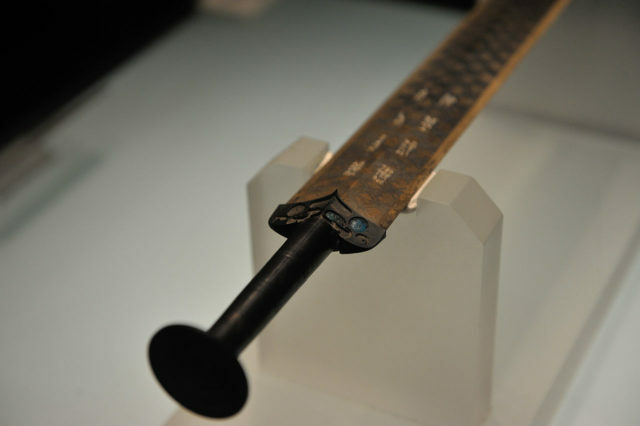 It is said that Goujian used the famous sword to defeat the Wu State in the last major conflict during the Spring and Autumn period and eventually annexed the rival. 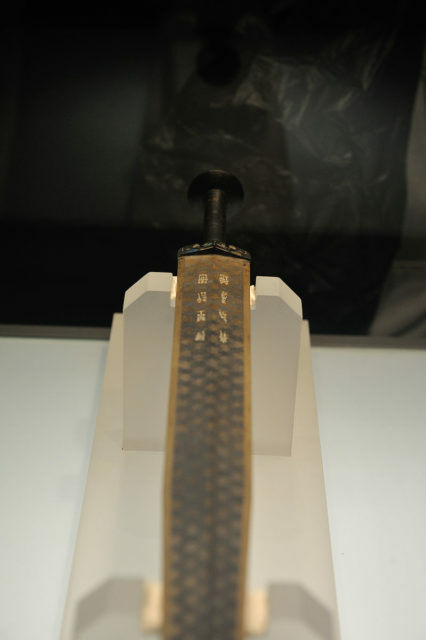 The sword is on display at the Hubei Provincial Museum along with many other impressive artifacts. 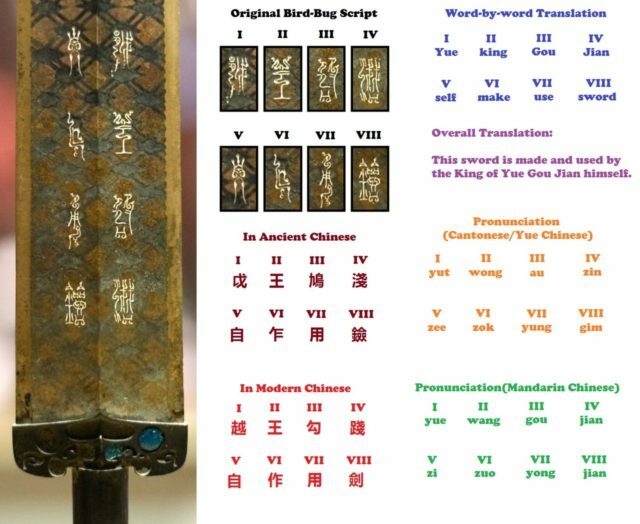 There is no doubt that this high-quality bronze sword is of great historic significance not just for China, but also for the rest of the world. 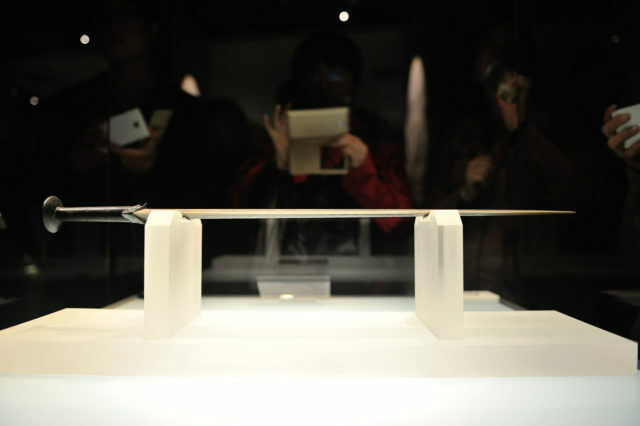 Moreover, historians and researchers are also fascinated by the fact that the Sword of Goujian is completely untarnished and it still cuts like new.